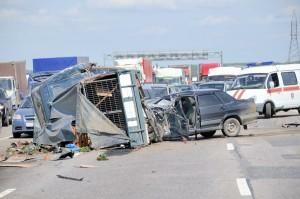 If you have been injured in an accident involving a commercial vehicle, you may be entitled to compensation. Commercial vehicles may include delivery vans, dump trucks, trash collection vehicles, or any vehicle used in construction, shipping, or other such industries. Drivers of such vehicles must follow the same rules of the road as any other driver and in some cases have stricter requirements imposed upon them. An Alpharetta personal injury lawyer can review your case and determine the best way to address your claim for compensation. As most companies have insurance to cover such events, it is not unlikely that you will be contacted by an insurance adjuster asking to meet with you to offer a settlement amount. It is very important you do not take this meeting or engage in any conversation about the accident or fault, nor accept any money or sign any papers. The insurance adjuster has as his or her primary task to minimize the financial exposure of their company. This means they will be looking for any way to pay you the minimum possible amount, when that is almost always incredibly far from what is fair. At Van Sant Law, we know what you are entitled to and have no hesitation about pursuing it thoroughly and energetically. In fact, we have a great deal of prior experience representing insurance companies and so know what to expect in terms of the tactics they will employ. We can address them with confidence, having thoroughly prepared your case, taking into account many possible occurrences. We investigate the accident with whatever experts are needed for assistance, whether they are in the field of accident reconstruction or medical advice. Findings often reveal such things as a violation of maintenance standards or a failure to follow safety procedures. We will use all relevant information to build your case and pursue the maximum compensation available.